NVIDIA's GeForce GTX 1050 and GTX 1050 Ti are their current mainstream Pascal cards for what should be known as entry-level PC gaming. A capable card for 1080p resolutions and moderate in-game image quality settings, it's well suited to systems with a demand for low power and constrained costs. However much like more powerful GPUs the designs available from NVIDIA's partners have favoured dual-slot cooling; not in of itself an issue, but a downside for those creating particularly compact systems. 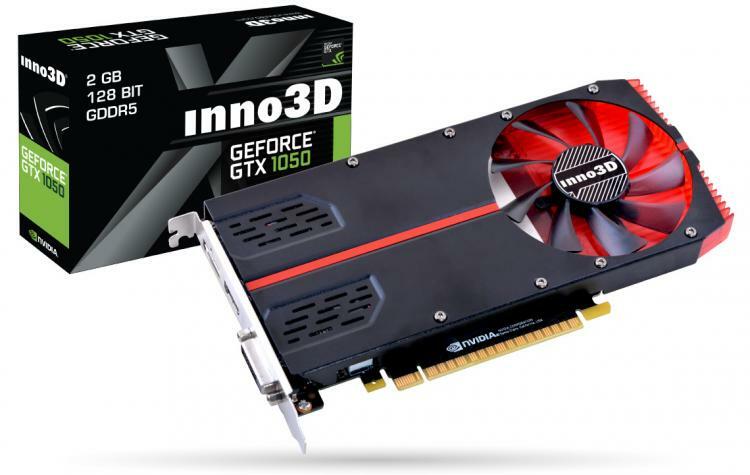 Today Inno3D are shaking things up a bit with the introduction of two single-slot cooling models for the GTX 1050-series, leveraging a blower cooler design rather than the thickness of a two-slot model. 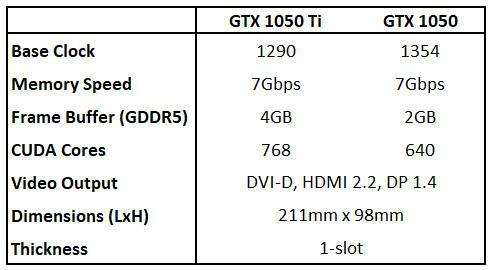 The Inno3D GeForce GTX 1050 Ti & 1050 single-slot editions support 4GB and 2GB GDDR5 VRAM respectively and adhere to reference specs for both number of CUDA cores and GPU frequencies. Video output options are robust - DVI-D, HDMI 2.2 and Displayport 1.4 as well as HDCP 2.2 support - so monitor compatibility shouldn't be an issue whatever your setup. As noted, at 211mm cards are longer than your typical GTX 1050 and represents the single clear concession necessary for the thin design. Naturally shorter (but thicker) dual-slot solutions are also available from INNO3D. More information on the series visit the INNO3D product page.